Arbors have become extremely popular in the past few years. 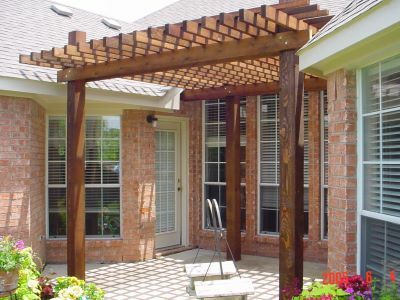 Arbors can be a simple structure to shade a patio or home entrance. Arbors can also be used to entertain friends and guests with kitchens, fireplaces, and even flat screen televisions. Let us take our years of experience to build a custom structure that will complement your home as well as your entertaining events.